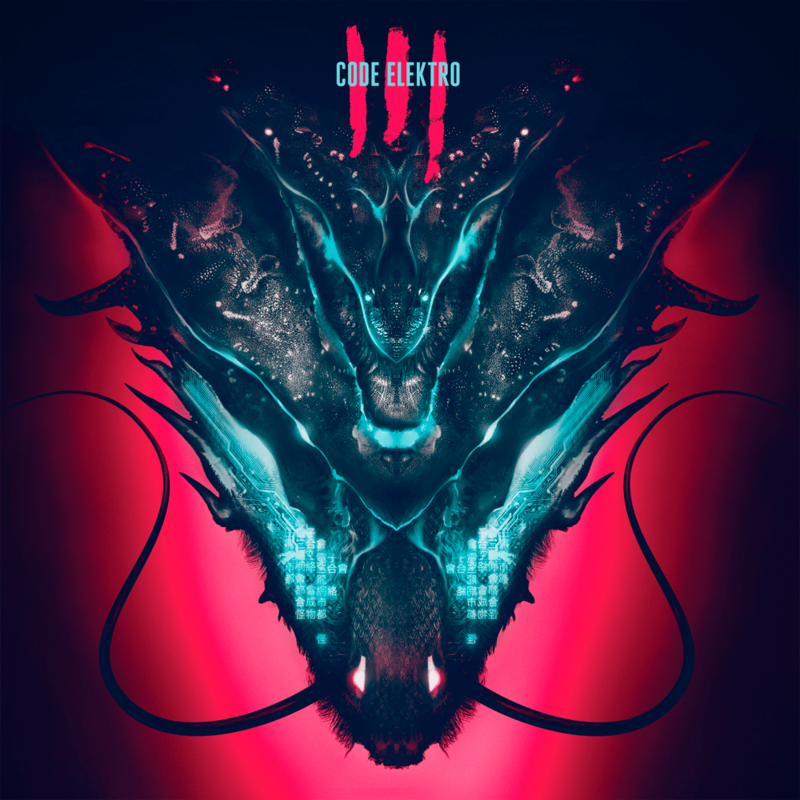 After two critically acclaimed releases, 2015’s Superstrings and 2016’s Wolf, Code Elektro returned in September this year with the release of third album titled Triads. Vinyl Sphere talked with Martin about the concept behind the album, its amazing album art, vinyl edition of the record, and more. Describe the musical vision propelling your new album Triads. Firstly, I would like to say thank you so much for this interview. I’m always happy to talk about music and vinyl! Triads also can mean these crime syndicates from China in the 18th century. So, the album, Triads, has an Asian vibe throughout the album. You can hear it in the melodies and sounds, and I try to combine it with the Code Elektro sound. 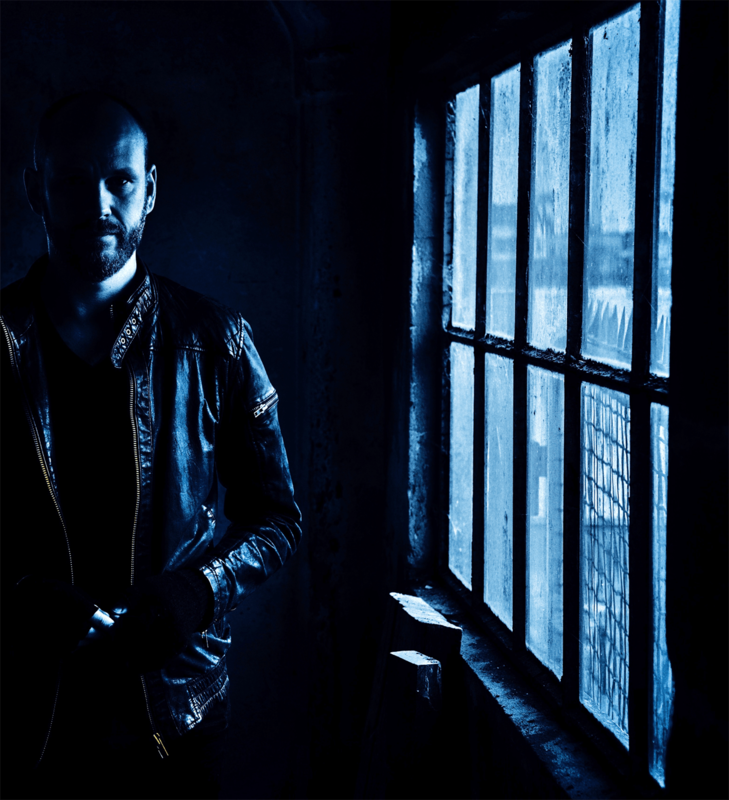 It is hard to say… I just sat down and worked for 15 months, and then there was a new album. Of course, there is a lot more work than that. John Bergin created the album cover. He has also been working on Stranger Things, DRIVE and Mr. Robot. I just told him that I wanted a dragon and something science fiction on the cover and then he came up with this. The details and colors are just amazing, and the vinyl really looks great (in my opinion of course). What was the creative process for Triads like? How does it compare to your work on previous two records, Superstrings (2015) and Wolf (2016)? In some ways, it was different – and in some ways, it was the same. I didn’t have an overall concept for my first album, Superstrings. But I did for Wolf and now Triads and the concept really helps me writing the songs. So I think that I will do that again. So for Wolf and Triads I just started writing – and then after some time I could see an overall concept that fits the mood of the album. Sometimes I have an idea and then I work from that. But mostly I just start jamming and then after some time I have something that I think is good enough to keep working on. If it doesn’t sound good the following day I will delete the track and start over. Tell me about the gear you used for creating Triads. How did you achieve all these tones? I use a mix of hardware synthesizers and digital instruments. My hardware synths are Moog Subphatty, Korg MiniLogue, Korg MS20, AKAI S3000XL, Roland JX3P, and I also borrowed a Oberheim Matrix1000. For bass and guitar, I used my old trusty Fender P-bass, Yamaha fretless bass and my Ibanez guitar. For software synths I really like U-He DIVA and Zebra, and Omnisphere, Reaktor and Predator. I also have two TwinFinity preamps and a DIY SSL Compressor that really gives some extra analog character to a mix. Speaking of gear, what is your view on technology in music? Technology can be a big help to achieve your artistic vision. But I also think that it’s important to be critical of how you use technology. I truly believe that if it is a great song then the gear/technology doesn’t matter. The song should be good enough on its own. How many instruments do you play? I know that you are pretty good with various keyboards and synths, and that you also play bass really good. Thank you so much! I also know how to play guitar, but bass is my main instrument. What is your favourite piece of gear or the one that makes your life easier? Cubase 9, where I record and mix all my tracks. I’m a big fan and have been for a long time! How do you usually go about creating a new song? Is there something like “usual” when it comes to writing new music or, to paraphrase Hans Zimmer, do you have to break rules in order to move forward? Good question! It’s really hard for me to write a song on bass (which is my main instrument), because I often end up using all my time to make it fit into the rules of music theory. It’s a lot easier for me to write music on an instrument that I hardly know… So I guess that I agree with Hans Zimmer. I do have to break the rules to move forward. Which bands or artists influence your work? I would bet that Vangelis has been a huge influence on you. Am I right? Yes. Vangelis, but also Tangerine Dream, Jean-Michel Jarre, John Carpenter, Daft Punk. But I also like the soundtracks from Blade Runner, TRON, Mr. Robot, Drive and Stranger Things. Electronic music is very present in the video game industry. Are you a gamer, and do you see yourself composing a soundtrack for a video game if an opportunity arises? “Cyber Dreams” from the Superstrings album was featured in a PUMA advertisement. How did that happen? My label had a meeting with an ad agency, and they really loved the track what was pretty awesome! It’s great when your music also can be used in other people’s productions. All of the Code Elektro albums were also released as vinyl. What in particular makes you gravitate towards this format? I love vinyl. Some of my earliest music memories come from vinyl albums. I really like how you can connect with your audience in a different way with vinyl — the artwork and the sound — is a big part of my music. Vinyl need a different master than the digital platforms. All my albums sound a little different on vinyl (primarily more dynamics). You can also decide in what order the listener will hear the album. I think a lot about the order of the tracks. That way I can guide the listener through my vision. I know that you also maintain your personal vinyl collection. When did you start collecting vinyl? How large is your collection? I bought my first vinyl when I was 9-10 years old. But soon after that the CD took over. Now I’m back at the vinyl. My collection mostly consists of old school metal and electronic music. Maybe I have around 100 albums, so it’s not THAT big. I have a few things that I want to do before starting on a new album, but I can’t talk about it yet, so stay tuned. 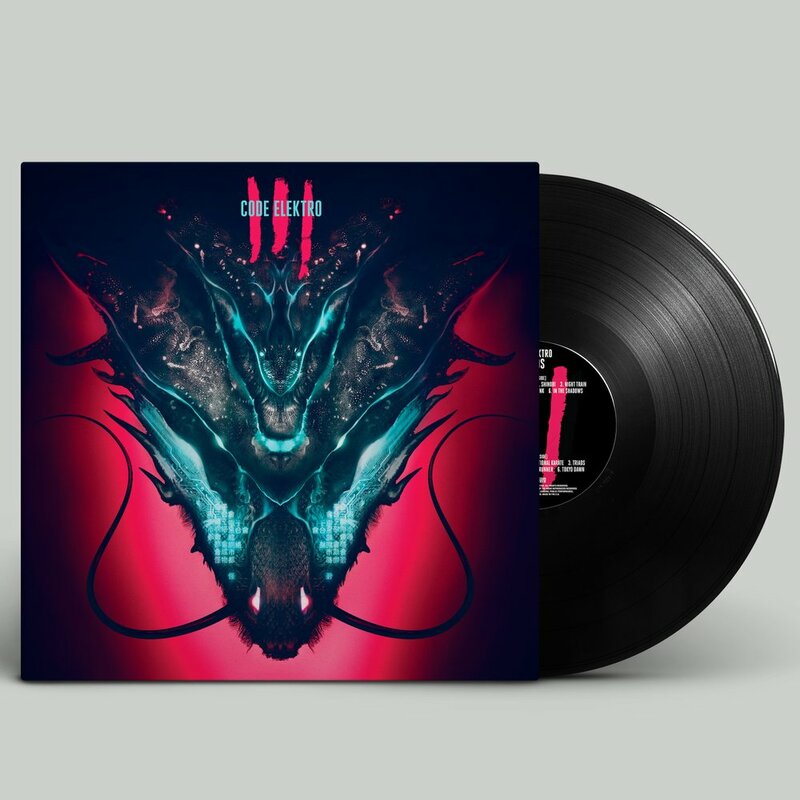 Code Elektro’s Triads is out now; it’s available from Amazon, iTunes, Google play, TIDAL, and Spotify, but more importantly it’s available as black vinyl edition with beautiful artwork by John Bergin. Get it from Iceberg Records’ webshop. You can listen to the Triads medley below.